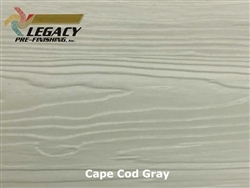 Prefinished Nichiha Lap Siding | Legacy Pre-Finishing, Inc.
Nichiha Fiber Cement Lap Siding is available in three different formats to provide an attractive custom home look. NichiBoard™ fiber cement lap siding comes in either Cedar or smooth texture while the Savannah Smooth Series is available in only the smooth texture. The Savannah Smooth product is manufactured with a 1/2" thickness to provide a deep shadow line versus the 5/16" thickness of the NichiBoard™ products. 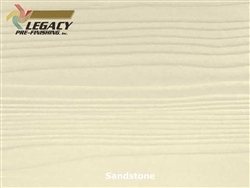 The Savannah Smooth product is also manufactured in 9'4" board lengths versus the 12' board lengths found on the NichiBoard™ lap siding products. 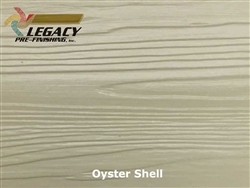 All materials are resistant to Rotting, Warping, Pests and Delamination. We take either one of these profiles and factory finish them with a custom stain or solid color to your choice of color. The color samples shown below are our most popular colors, however custom colors are available. 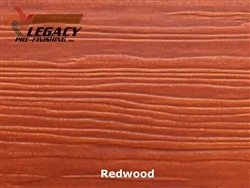 Our stain colors carry a 15 year limited warranty and can only be applied to the cedar textured lap siding products. Our custom solid colors have a 25 year limited warranty and can be applied to all products. All products are made to order just for your custom home.